Hi Everyone, my name is Julie from Manorborn and for my introduction I think the best place to start is at the beginning. I was born in Herefordshire into a large farming family, quite a few years ago now but I won't say how many! My love of animals and desire to work on the family farm enticed me to leave my all-girls private school at fifteen to work fulltime at home, so there was no college or uni for me. 25 years ago farming took a down turn with costs going up and profits going down, so we decided it was time to diversify. Never having done any property development before, we decided to give it a go and it was then that we decided to convert an Elizabethan barn here into two beautifully restored holiday cottages.along with two more cottages over the past few years. I also enjoyed resourcing artifacts and antiques and upholstering restored pieces of furniture to complete the properties. Despite being hard work, we did not stop there! We enjoyed it so much we restored our own large Farm House and also made a third holiday cottage. This was when our love for property development started. We have continued this trend in the subsequent years - property being our main enterprise and in addition we now own several City houses that we have developed and are successfully now on the rental market. As well as a stay at home mum and housewife, I have always enjoyed being outdoors whether it be for work or pleasure and loved being surrounded by dogs, horses and animals in general. 17 years ago my daughter fell in love with the Lassie films and just had to have one of her own. To cut a long story short this was the beginning of our love of owning dogs. We acquired our first Labradors 16 years ago and started showing but gave that up after 3 years to concentrate on the breeding side. We have been breeding quality Labradors ever since. We've supplied the Police, Guide Dogs for the Blind, plus some celebrities with beautiful dogs. I fell in love with Labradoodles after looking at the Australian websites but never thought I would ever own one! 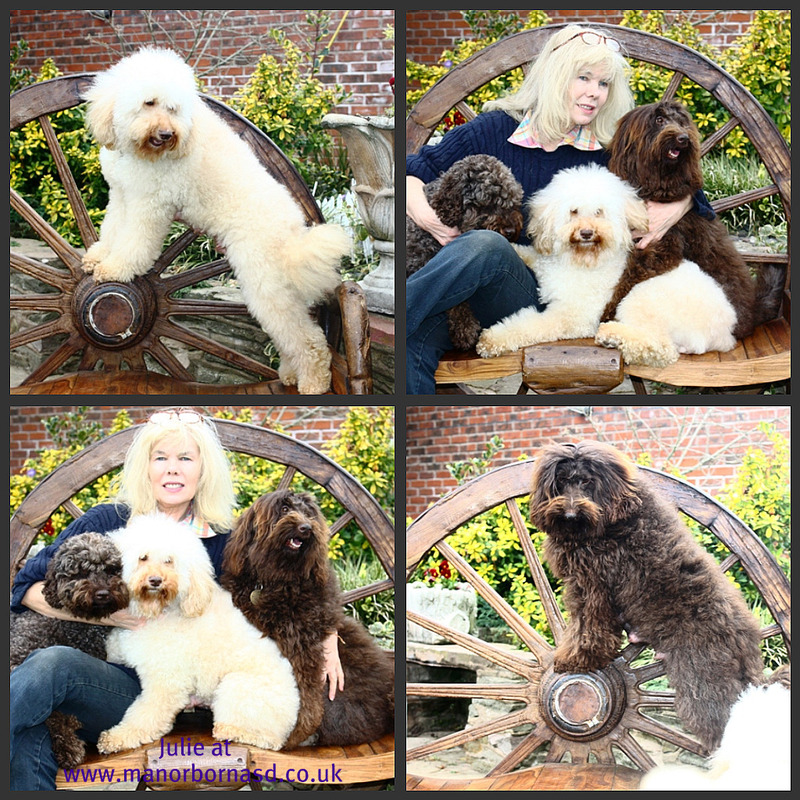 We started breeding English Miniature Labradoodles, but my dream has come true as I am now the very proud owner of the Authentic ASD Australian Labradoodles having imported my foundation stock from Tegan Park and Sunsethills Having been breeding and caring for dogs for many years I can truly say I have never left one of our dogs alone during the birth process and have been known to make a bed up by the side for 2/3 nights running to ensure that both mother and babies have everything they need.